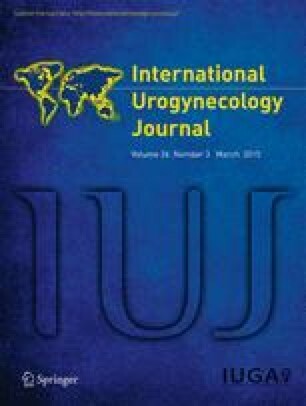 The aim of this observational study was to investigate the influence of body mass index (BMI) smoking and age on the cure rate, rate of complications and patient satisfaction with mid-urethral sling (MUS) procedures. Pre-, peri- and postoperative (8 weeks and 1 year) data were retrieved from the Swedish National Register for Gynecological Surgery of MUS procedures (retropubic procedures, n = 4,539; transobturator procedures, n =1,769) performed between January 2006 and December 2011. Multiple logistic regression analyses were performed between the outcome variables and BMI and smoking, presented as adjusted odds ratios (adjOR) with 95 % confidence interval (CI). Subjective 1-year cure rate was 87.4 % for all MUS procedures (88.3 % with the retropubic technique and 85.2 % with the transobturator technique (p = 0.002). Preoperative daily urinary leakage and urgency were more common with increasing BMI, but surgery reduced symptoms in all BMI groups. Lower cure rate was seen in women with a BMI >30 (0.49; CI 0.33–0.73), in diabetics (0.50; CI 0.35–0.74) and women aged > 80 years (0.18; CI 0.06–0.51). Perioperative complications were more common in the retropubic group (4.7 % vs 2.3 % in the transobturator group, p=0.001) and in women with BMI < 25. Smoking did not influence any of the outcome variables. The overall 1-year cure rate for MUS procedures was 87 %, but was negatively influenced by BMI >30, diabetes and age > 80 years. Perioperative complications were more common with the retropubic procedure than with the transobturator technique, and in women with a BMI < 25. Smoking did not impact on any of the studied outcome variables. Ethics approval was obtained from the Regional and the National Ethic Review Boards (the Ethics Committee at Sahlgrenska Academy, Gothenburg University, ref no.061-13, 5 June 2013. The study was supported by a National LUA/ALF grant no. 11315 and Hjalmar Svenssson’s Research Foundation.